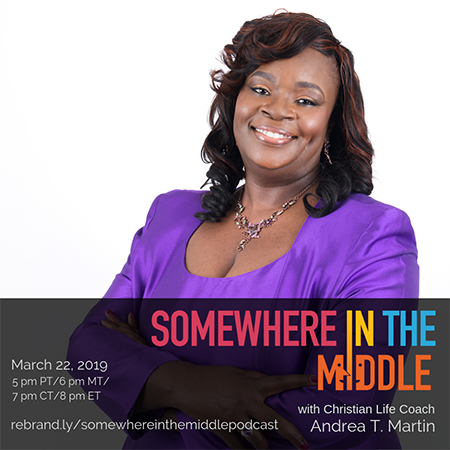 Andrea T. Martin is an “out of the box” International Motivational Speaker, Amazon International Best-Selling Author, & Christian Life Coach. She is the Founder & CEO of Discovering My Wings, LLC, where she empowers and equips women to discover life’s possibilities and take flight into their purpose. As an International Motivational Speaker, Andrea captivates audiences with her message to help women emerge from a painful past, rediscover their goals, dreams, and aspirations, capitalize on their current skills, talents, and gifts and take the necessary steps to TRANSFORM their lives. Highly respected as an engaging, motivating and genuine speaker, Andrea speaks directly to the heart of her audience, taking them through a process that quickly moves them from information and inspiration to activation and implementation. Through her warm yet dynamic style, Andrea teaches her audiences using compelling yet informative stories. This provides them with valuable takeaways they can use to immediately impact their lives. She combines her unique journey of self re-discovery, her knowledge of the transformation process, and her spiritual wisdom… to help women around the world get unstuck, remove limitations, activate their wings and soar into their destinies. Most recently, Andrea spoke on an Empowerment Cruise to the Bahamas, at an Empowerment Conference in Dubai. She also has spoken at the FBI and the University of Mary Washington. Andrea conducts numerous workshops, classes, certifications, and numerous churches and women’s groups. Andrea also has leveraged her over 25 years in the banking industry to start her Corporate Training & Speaking arm of her business. Known for her ability to quickly get to the heart of the matter and help women make radical improvements in their lives, Andrea has become the “GO TO” expert among those looking to transform their lives. Her clients are most appreciative of her ability to inspire, motivate, and help them to quickly get unstuck and moving towards their destiny again. Through her coaching packages, workshops, speaking engagements, and various teachings, Andrea offers women; real-life strategies on how to get unstuck, remove limitations and turn their dreams into reality.